jojoebi designs: Surprise! - a day off school! Surprise! - a day off school! So, the day before yesterday I find out Ebi-kun was to have the day off school yesterday! Apparently it was 'Saitama Day' and it appears I was the only one clueless about this. I had to reschedule a couple of meetings and re-juggle the other things I had planned for the day. Ebi-kun kept himself busy for the first couple of hours so that I could get through my emails, sort out orders and do some coding to fix an issue on my website. Then it was the laundry, changing the bed sheets and dusting then, off to the supermarket. The route I take to the supermarket means cutting through the park so we decided to stop and go acorn hunting. We picked up a bag of acorns and leaves and continued on our shopping mission. Got home, had lunch, watched Puss In Boots which was great and then we got out all the craft supplies for a big session. 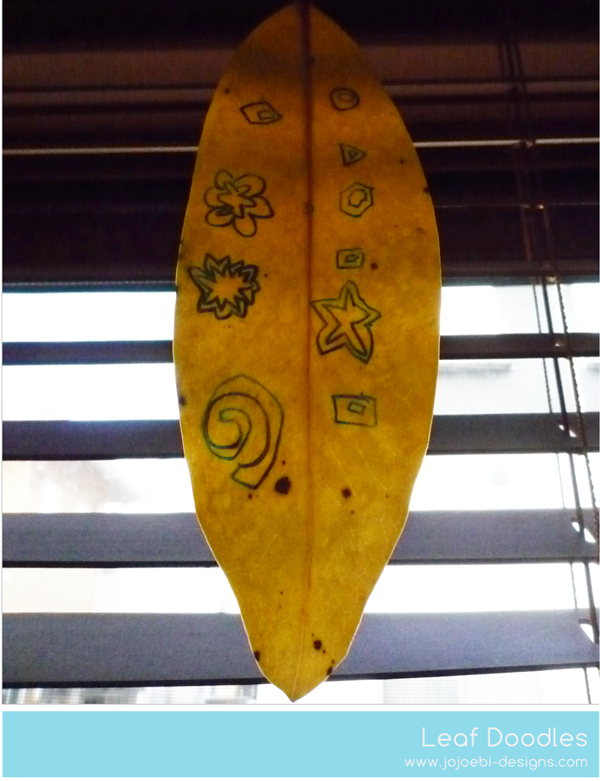 We started with leaf rubbings and then went onto doodling and sticking. 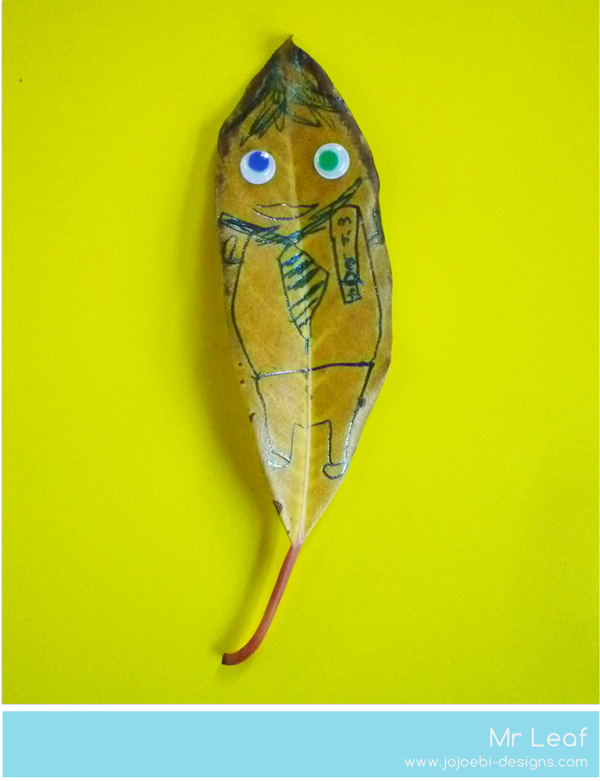 I was inspired for leaf doodling by The Artful Parents Autumn Crafts e-book. We didn't have any metallic markers (they are now on my shopping list) so we just tried the different pens that we had to see what would work. 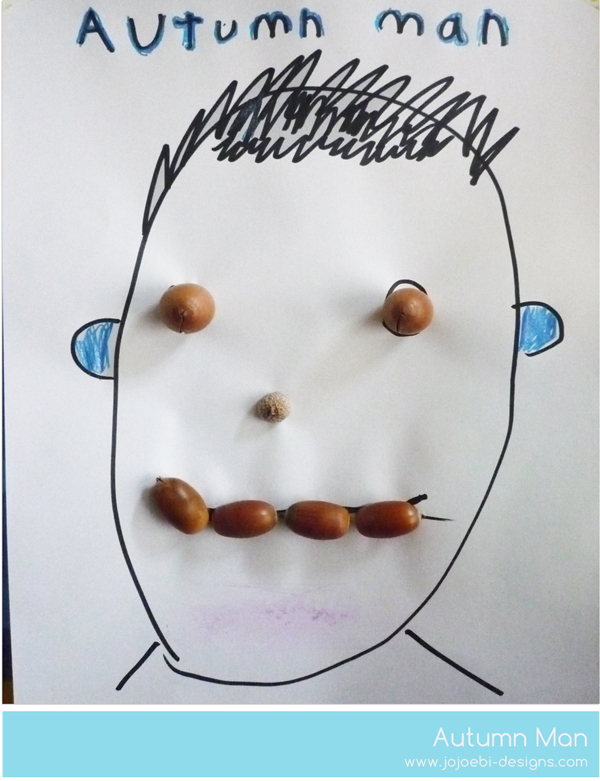 The Autumn Man, he used white glue to stick the acorns on and I was surprised that they were still there in the morning. 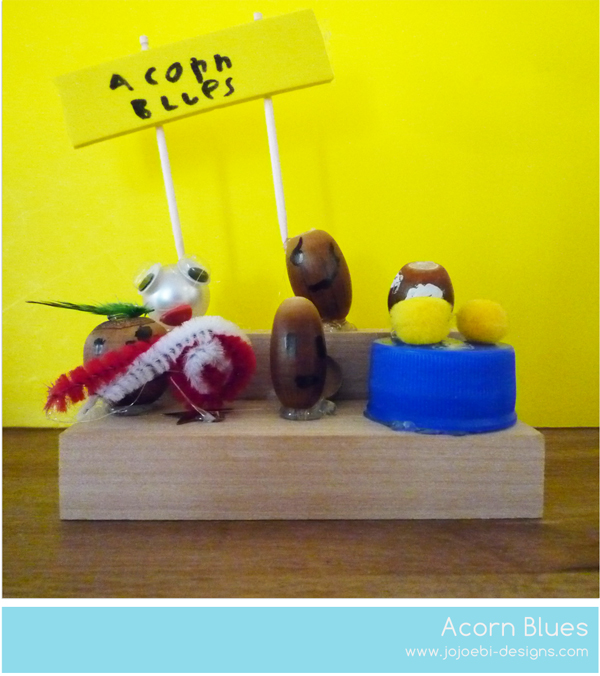 But my favourite it his rock band 'The Acorn Blues' There is a punk with a green mohican playing lead guitar, a lead singer, drummer and two backing singers/banner wavers. I love how he put this together, he used the glue gun to stick it all together. What fun! He announced when he was finished that when he grows up he is going to be an acorn rock band designer and have a shop selling acorn rock bands! 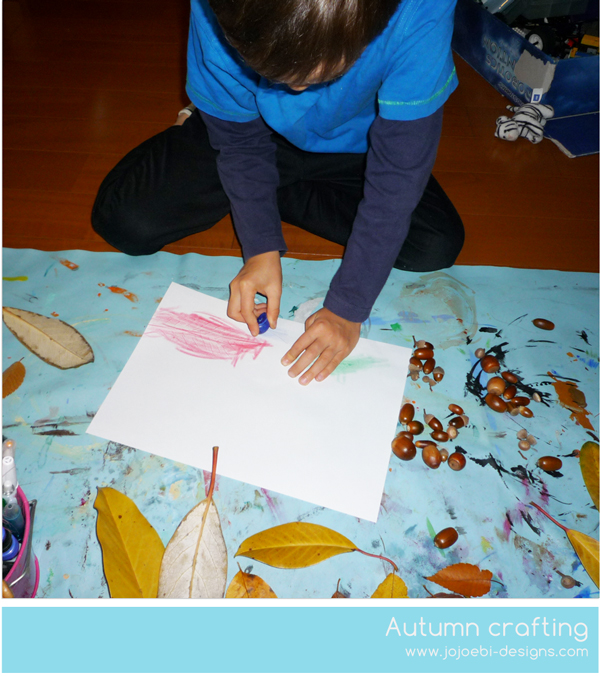 I love how a bunch of free leaves and acorns could fill a good 3 hours of creative fun.